This ‘Fragrance Friday’, we’re going to talk about the Kate Spade Walk on Air Eau de Parfum, which was released March of this year, and inspired by the femininity of the New York City woman. 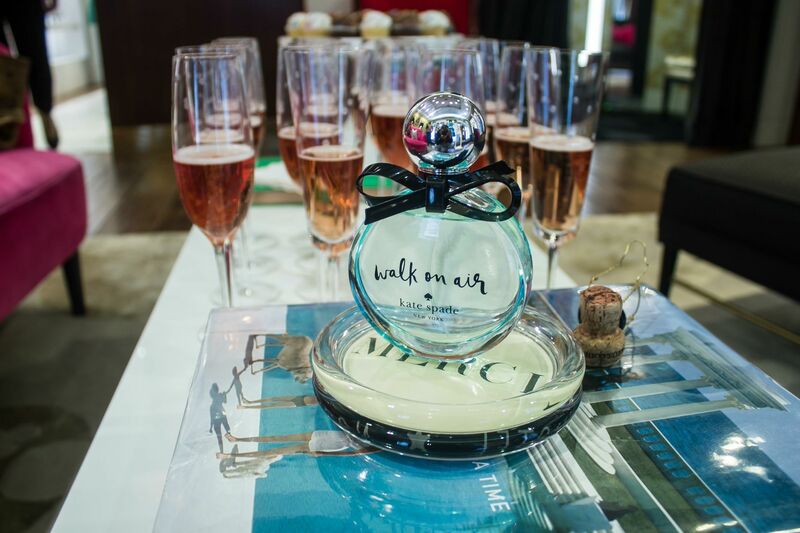 Walk on air by Kate Spade New York is a fragrance that celebrates the graceful confidence of its wearer. Sweet and tender layers of lily of the valley, the flower of happiness and joy. Magnolia and crinum lily caress the skin like a breath of fresh air. The fragrance exudes delight; it’s an invitation to seize the day and envelop yourself in the promise of something wonderful. NOTES: Top – linden blossom, maidens hair fern, solomons seal, calabrese bergamot, tunisian neroli. Middle – lily of the valley, magnolia grandiflora, egyptian jasmine, narcissus absolute orpur. Base – crinum lily, white iris, violet leaf absolute orpur. 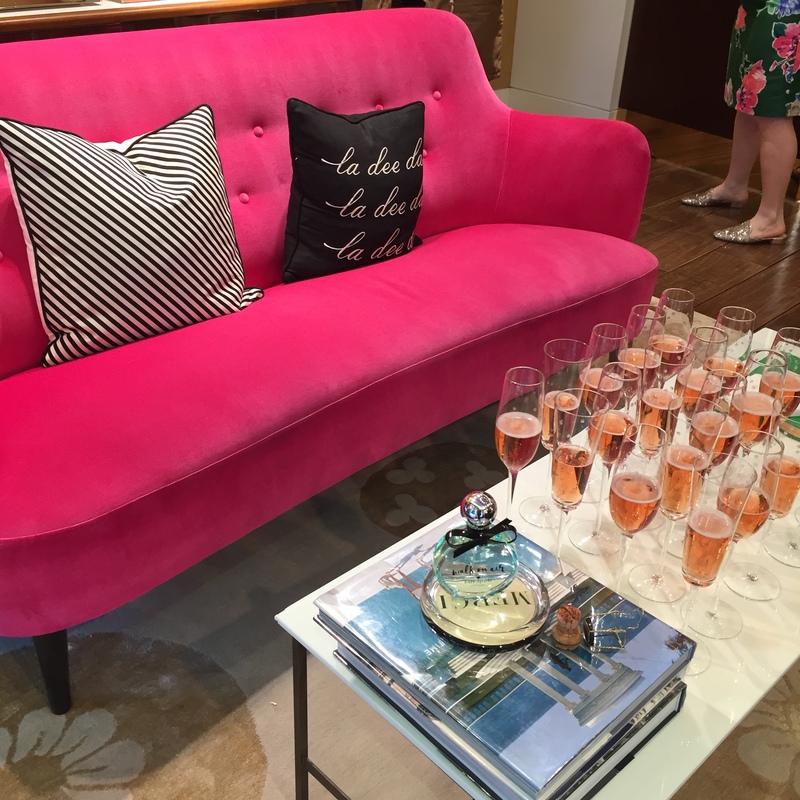 I first caught a whiff of this fresh, airy floral fragrance while I attended an event held at the Kate Spade New York Madison Ave Flagship store. It was seriously love at first sniff. I am not sure if it is because the Kate Spade Walk on Air Eau de Parfum reminded me of one of my favorite vacation spots, Puerto Vallarta, but, that was one of the first things I thought of when I smelled this fragrance. Isn’t it great when a fragrance generates a trip of nostalgia? I’m talking about the good memories. 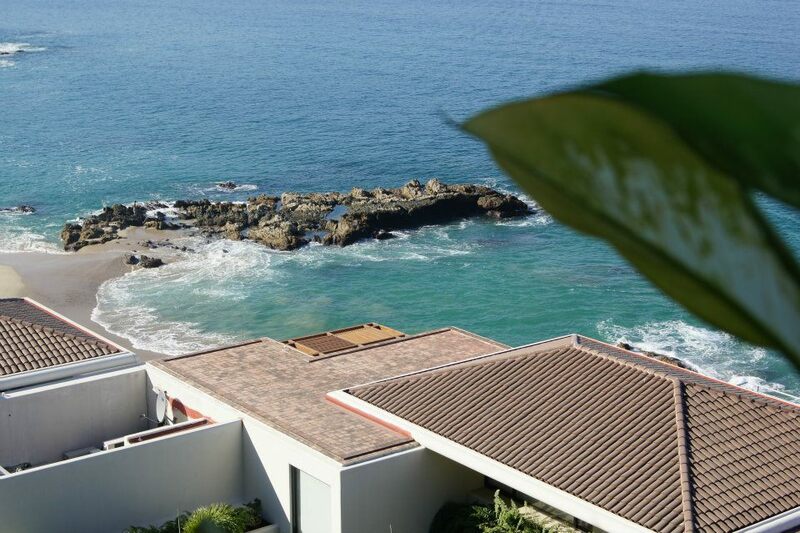 Some of our best times were the weeks we’ve spent on the beaches in Puerto Vallarta, walking along the Malecon, and taking in the views of Banderas Bay from our condo in Conchas Chinas. Smelling the Kate Spade Walk on Air Eau de Parfum took me right back to those moments. And the color of the fragrance itself – a clear light blue – reminded me of the sea. I also love the simplicity of the packaging; a round bottle, a dome-shaped topper that’s adorned with a cute black bow. Overall, I love the scent of the Kate Spade Walk on Air Eau de Parfum, and can’t wait to pick up a full-sized bottle of my own. It’s a light and airy feminine fragrance that is casual and relaxed enough for daytime wear. If you like fragrances that are light, white floral mixes of lily of the valley, magnolia and crinum, then this just might be the fragrance you need for spring and summer. The Kate Spade Walk on Air Eau de Parfum is available at Kate Spade or Nordstrom in a 0.34 oz rollerball, 1.7 oz, and a 3.4 oz bottle for $25.00 – $95. 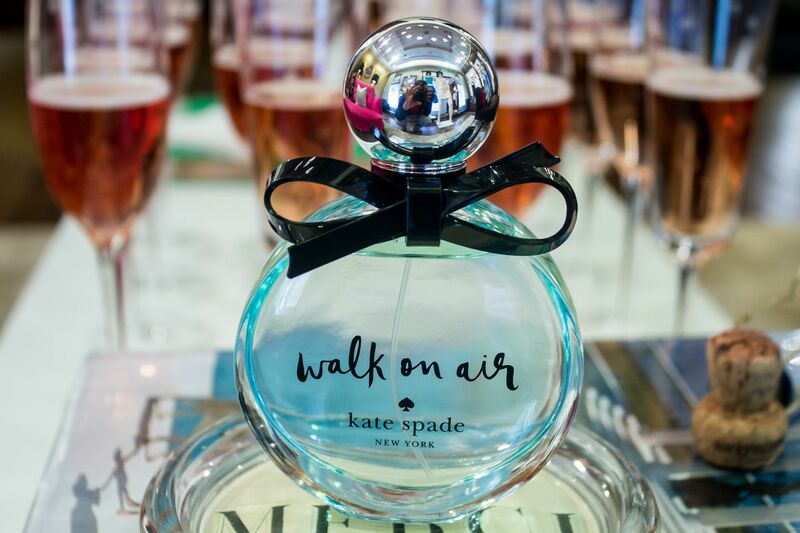 Does the Kate Spade Walk on Air Eau de Parfum sound like a fragrance you’d wear this spring and/or summer? My t-zone gets oily at times, and during that time of the month, like most women, I experience minor breakouts. To help with both of those problems, in the past I’ve used diluted tea tree oil as a toner, and to help brighten my skin. But, sometimes I get lazy, and don’t feel like making my own products. I mean, we all go through that at times, right? So after hearing rave reviews about the LUSH Tea Tree Water Toner, I visited my local LUSH store to pick up a bottle. 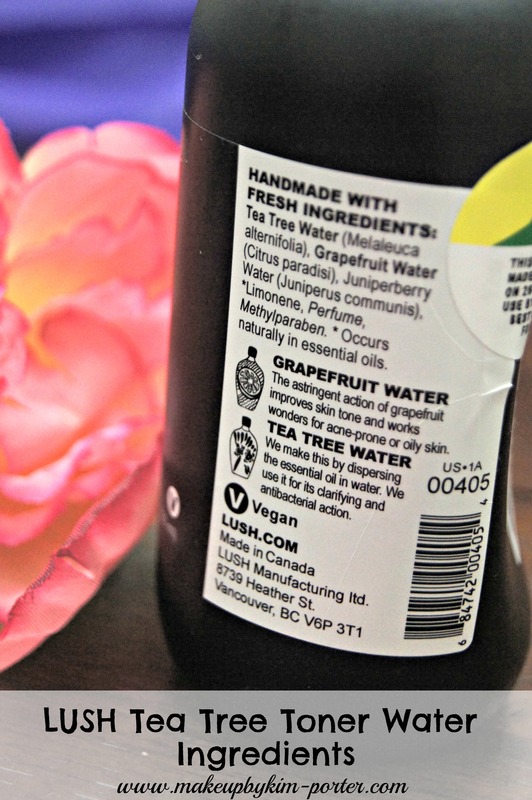 While looking at the ingredients, I was happy to see that the LUSH Tea Tree Water Toner has only 6 ingredients, 4 of which are natural: Tea Tree Water, Grapefruit Water, Juniperberry, and Limonene. The first three ingredients are known for their antiseptic and anti-fungal properties like. Both tea tree and juniperberry are known to help aid in reducing oil and blemishes on the skin. The naturally occurring limonene is added for its citrusy scent. And then we have two ingredients that LUSH deems “safe synthetics”: methylparaben and fragrance. I’m not fond of fragrance in my skincare, nor am I fond of parabens. Speaking of scent. If you’re familiar with the strong herbal smell of tea tree oil, you don’t have to worry about experiencing that with the LUSH Tea Tree Water Toner. The tea tree scent, even though it’s the most prominent, is very light, and doesn’t last long. The faint tea tree oil scent could have been a sign that maybe this wouldn’t work – for me. Although spraying the LUSH Tea Tree Water Toner on my face was quite a refreshing experience, I didn’t find that it removed anymore residual makeup post cleansing than my regular toner. In fact, it barely removed anything. It felt as though I was just using scented water on my face. Also, it wasn’t effective in keeping back breakouts and oil. I was surprised that out of all of the LUSH products I’ve used, and loved, this was the very first one that has let me down. Can you imagine how hard it was for me to write this post? Hard! Spritz directly on the face after cleansing and use a cotton pad to remove any excess cleanser. To tighten pores, let the toner air dry. Follow with the moisturizer most appropriate for your skin’s needs. Unfortunately for me, the LUSH Tea Tree Water Toner did not work well for me. It didn’t make me less oily, and it didn’t improve my complexion. However, it doesn’t mean that there isn’t someone out there that this would work for. But, I do suggest getting a sample before spending your money on a full-size bottle, especially since it has added fragrance. Once this bottle of LUSH Tea Tree Water Toner is finished, I’m going to do a DIY Tea Tree Water Toner minus the fragrance and methylparaben. The 8.4 Fl oz bottle of LUSH Tea Tree Water Toner that I bought can be purchased at LUSH or lushusa.com for $21.95. It’s also available in a smaller 3.3 fl oz bottle for $9.95. 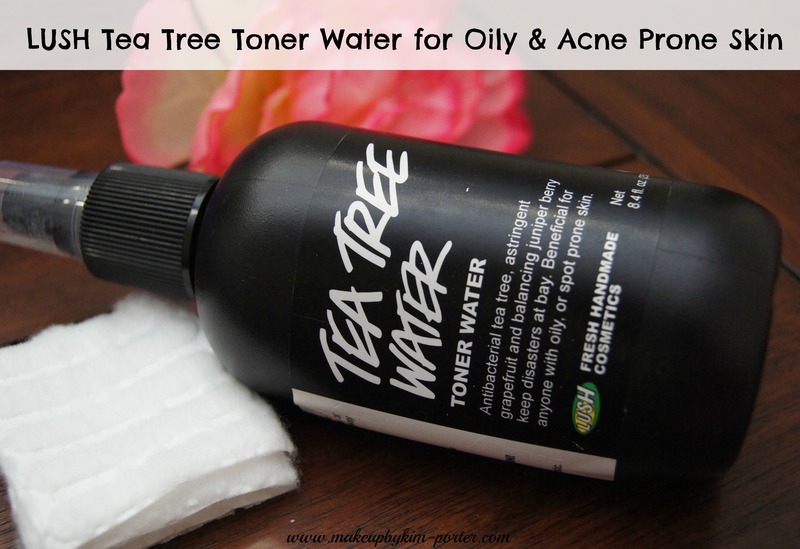 Have you tried the LUSH Tea Tree Water Toner? Did it work for your skin? Just a few weeks ago, I introduced you to my new NARS Cosmetics purchases. One of the purchases was the new NARS All Day Luminous Weightless Foundation. It’s one of the most raved about liquid foundations on the market right now, and rightfully so. Keep reading to learn more about the foundation, and how well it worked (or not) for me. Full, natural-looking coverage with unexpectedly weightless, 16-hour wear. Highly pigmented and perfectly balanced, this breakthrough formula builds and blends effortlessly with just one drop—the result of exclusive innovation uniquely designed to deliver long-wearing full coverage, weightlessly. Shake, pump and blend in sections for complete coverage that’s completely natural looking. Normally, due to some discoloration on my face, which is more prominent on my right cheek, I’d have to use a color corrector prior to applying my foundation. Using this NARS All Day Luminous Weightless Foundation doesn’t require that step, which reduces my makeup application time. That’s a total plus if you ask me. Also, did I mention that instead of using who knows how many pumps or dime-sized amounts of other liquid foundations, I only have to use one, ONE drop of the NARS All Day Luminous Weightless Foundation in order to achieve the coverage and look that I want? Yup! So just imagine how long it will take me (or you) to get rid of the bottle. You’re definitely getting your monies worth. Speaking of the bottle. I’ve mentioned many times before that I love simplicity. The NARS All Day Luminous Weightless Foundation is beautiful in all of its simplicity with it’s sharp lines, matte black cap, and frosted bottle. Simple and chic – just the way I like it. The pump dispenser releases just the right amount of foundation needed as well. I know that there are some instances when dispensers release too much product, which can lead to waste. We don’t want that. Usually, as a woman of color, it’s pretty hard finding foundations that are a perfect match for my complexion. They’re either a bit too dark, the undertone isn’t right, which can make us look muddy. However, with the NARS All Day Luminous Weightless Foundation, I was able to find my “perfect” match in the shade ‘Macao’, which is described as medium dark with yellow undertones. After applying the NARS All Day Luminous Weightless Foundation, my skin looks naturally radiant. I’ve received many compliments on how good my skin looked, too. I also liked the finish. It wasn’t dewy nor completely matte. My skin didn’t look dry nor did it feel tight. And just to touch a bit on wear, I can see how the foundation may last 16-hours. I haven’t yet had a reason to wear it for that amount of time, but, I did notice that after my hour-long commute, and 8-hour workday, the foundation is still in place, even on my nose where foundation seems to always disappear. Surprisingly with my oily t-zone, I’m not even shiny by the end of my work day either. The most I’d have to do is use a blot paper once or twice, and that’s it. The real test comes once the weather warms up. 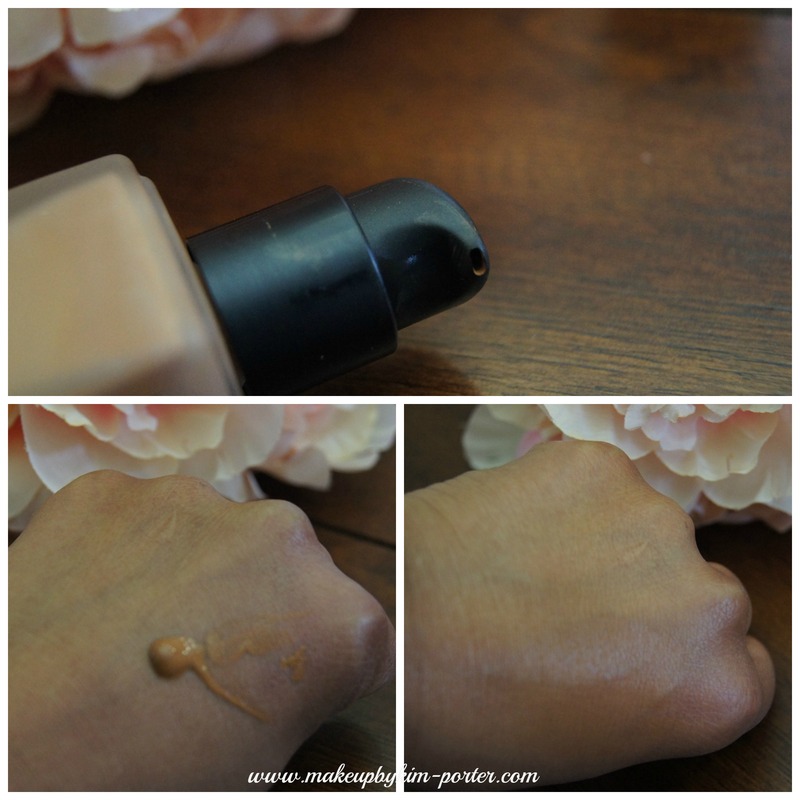 If it doesn’t pan out, I still have my NARS Pure Radiant Tinted Moisturizer. 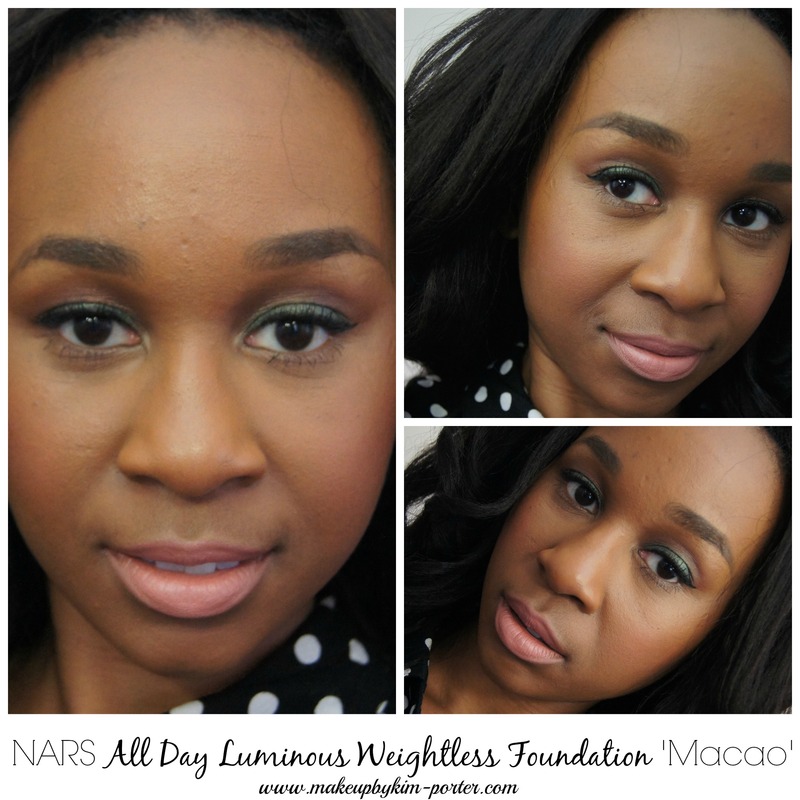 Overall, I am in love with the NARS All Day Luminous Weightless Foundation. It applies flawlessly, and makes my skin look amazingly radiant. 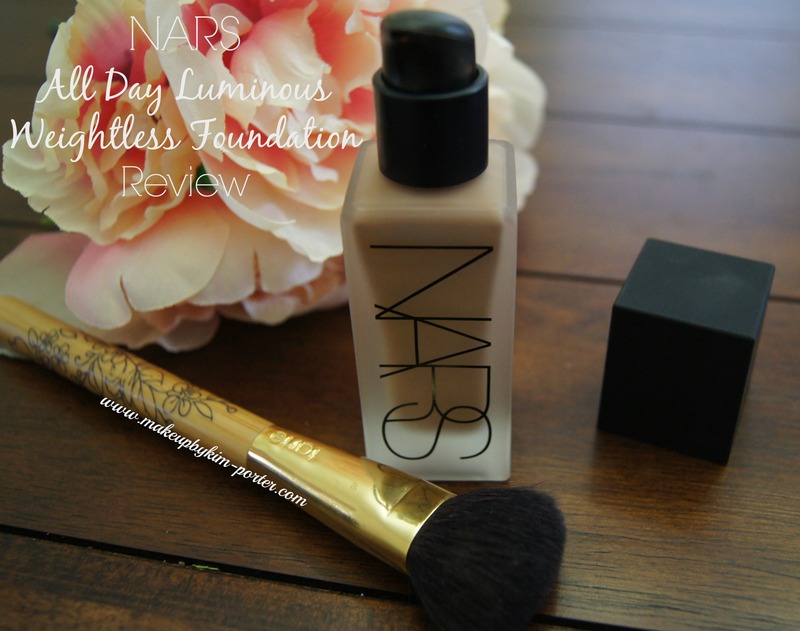 If you’re in the market for a full-coverage, lightweight foundation that lasts all day, and is great for all skin types, I suggest checking out the NARS All Day Luminous Weightless Foundation. The NARS All Day Luminous Weightless Foundation is available at Sephora, Nordstrom, Neiman Marcus, Saks and more in 20 shades, and costs $48/1 oz. Tip: To find your perfect foundation match, instead of swatching on your hand or wrist, swatch the product on your neck. Your face, which is oftentimes a different shade than your neck, should match your neck once foundation is applied. Have you tried the NARS All Day Luminous Weightless Foundation? This Fragrance Friday, I finally have an affordable perfume to share with you, and it’s one of my favorite fragrances to wear during the spring: Nanette Lepore for Women. This perfume is the signature fragrance from the whimsical and feminine design house, Nanette Lepore. Nanette Lepore for Women is packaged in a girlish pink, Bohemian-style bottle decorated with flowers, and adorned with a black and white polka dot bow (I misplaced mine). It’s simple, yet cute. The 30ml bottle that I own fits nicely within my purse, and is compact enough for travel. For me, the rose notes in Nanette Lepore for Women are evident for the first 10-15 minutes, and then the peach mixed with cranberry come tagging along. I love the black currant mixed with the jasmine, which seems to hang around a bit longer., and the Persian lime just makes everything smell even better. It cuts the floral and berries so that it isn’t too sweet, but just right. The sillage is awesome; you can’t smell me from a mile away, which is good, but, should i pas you, you’ll get a light whiff. It’s the perfect spring daytime fragrance. My only issue with Nanette Lepore for Women is that it doesn’t last long. I’d say I get about 4 hours wear on a good day. On a hot day, 1-3 hours. But, for a discount fragrance, I think that this is a pretty decent wear time. Nanette Lepore for Women, in my opinion is a feminine fragrance suitable for those women in the 20 – 30 year old range. It’s fun and cheerful, with a bit of innocence. I would recommend it for those over 30 years old who are young at heart. Nanette Lepore is one of those fragrances that has built in nostalgia, so spray some on , and take a walk down memory lane to the days when you were out having fun with your girls, or necking with your new main squeeze. Nanette Lepore for Women can be purchased from Neiman Marcus for $30/1.7 fl oz. Have you tried Nanette Lepore for Women?